Elphie has white fur and light pink antlers. Blue eyes and green hair. Even though she is female she has antlers. Very shy but also very excitable around friends. White fur and light pink antlers. Blue eyes and green hair. It's been a long time since I sat down and actually looked at something I sketched and thought it was decent. 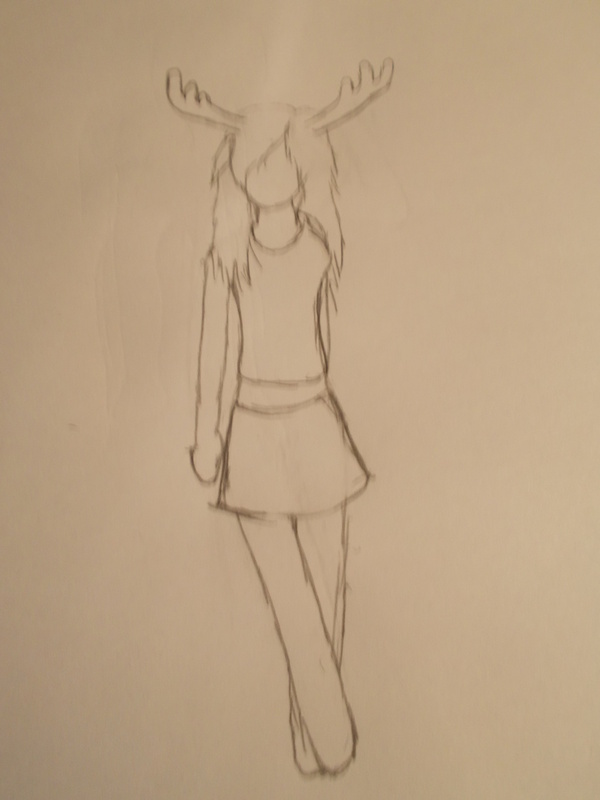 I've got a long way to go but this is my first draft of my fursona obviously she isn't finished.